In the earlier part, we stopped at the general introduction of what is this Mississippi series. In this part we will again see some basic information and few terminologies which were famous at time. 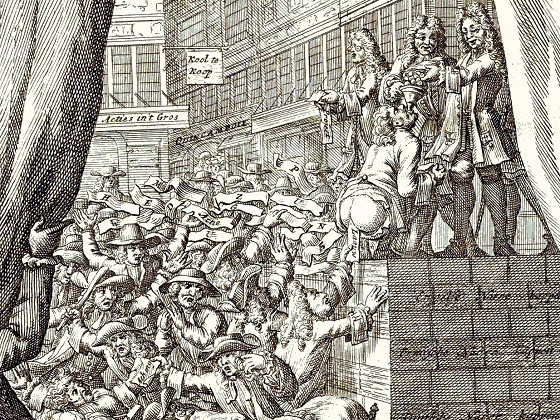 Financial bubble of Mississippi, the South Sea bubble in England and some other related bubbles in Holland were the start of the speculative boom in the international stock market. This was all started in the early decade of the 18th Century, i.e. In 1719-1720 period. In fact, the bubble of Mississippi was responsible for two things. The word ‘bubble’ was started to use as a synonym to ‘Speculative boom’ and a hesitation to use word ‘bank’ for next 150 years due to John Law and his 'Banque General'. If we check the dictionary meaning of the financial bubble, then it shows that bubble means, “any unsound commercial undertaking accompanied by a high degree of speculation", and the same thing happened in these bubbles. 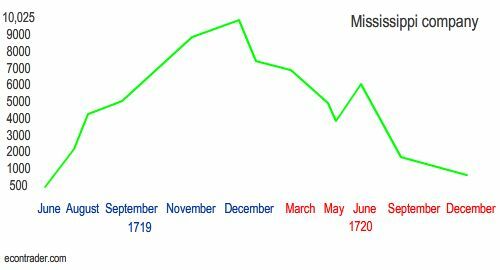 A comparison of share prices of Mississippi Company. We will read the detailed explanation in the next parts. Let’s assume that the whole bubble thing was a game which was played by two important persons, Insiders and outsiders. Insiders were having superior position than outsiders due to knowledge of the actual prospectus of the company, they were having information about the changes in the authorized capital of the company as well as the number of shares issued to general public i.e. outsiders in this case. Well, no doubt later they disclosed this information to outsiders but still their hands were tied due to the commitments given to their supporters as well as political leaders of the time. Rational Bubble – In these types of bubbles, speculators usually buy shares when the prices of shares and sell when the prices are falling i.e. first to make share prices rising and then sell at one point when price reaches at the highest level to earn huge profits.